After the sudden end to the wonderfully amazing I Hate Fairyland, Skottie Young made a quick return to comics with a limited series unlike anything I've ever seen. Joined by artist Aaron Conley (Rocket Raccoon & Groot), the I Hate Fairyland creator delivers a hilarious all-new, all-ages story about everyone’s favorite pastime: bullying. Disclaimer: Disclaimer: I received advance copies of the individual issues collected in Bully Wars courtesy of Image Comics. Rufus, the biggest bully in Rottenville since kindergarten, suddenly goes from bully to bullied on the first day of high school. He’s forced to make a shaky pact with his favorite geeks: Spencer and his twin sibling besties, Edith and Ernie. Together they’ll have to find a way to survive the Hunger Games-like contest known simply as the BULLY WARS—where the winner will rule the school! 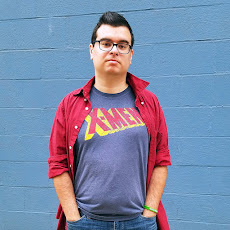 The covers and other promotional materials seemed to be pushing geeky Spencer as the main character, so I was surprised by how much focus was put on Rufus from the beginning, who looks like the villain on the cover. It’s a nice story to see someone knocked off their pedestal after ruling middle school and then suddenly find themselves back at the bottom at high school. My favorite moments throughout the series came from the little bits where Spencer and Rufus show their budding friendship. They both just work together for their own personal reasons - Rufus wants to be top bully and Spencer and his friends want to gain immunity from Rufus’s future bullying - but all of the time they spend together turns them into accidental friends. Young and Conely do a great job at painting a picture of what high school looks like from a students point of view. I was actually surprised to learn that this series was all ages. When you hear a term like "all-ages" you imagine something that’s mostly for kids with some humor for their parents, but here I am fully engaged and invested without feeling like I’m reading below my age level. Literally all ages can enjoy this series. After I Hate Fairyland I couldn’t imagine Young making something for kids - but he outdid himself with this one. Regular readers will know how much I love worldbuilding. It’s an art that’s easy to do in a sci-fi or fantasy setting, but challenging to perfect. And it’s also an under-appreciated art form to be able to create a unique world in a realistic, present-day setting. But Young nails it. Even though Bully Wars takes place in a typical American public high school, he still manages to build a unique world that feels all his own. 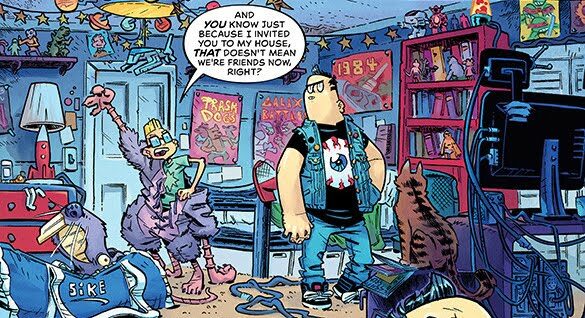 Skottie Young's all-ages comedy where bullies battle it out to see who will rule the school was a roller coaster of awesomeness. 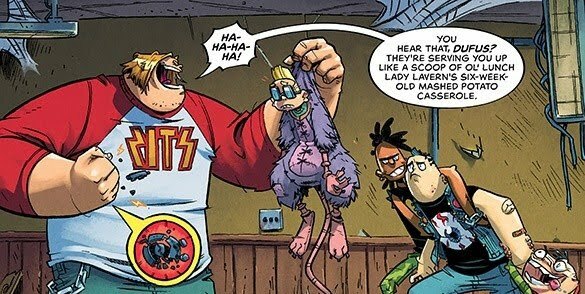 I enjoyed this series and I’d welcome a continuation with these characters or even a prequel to Bully Wars of the past. Now that the fighting is over, I just want to see them hanging out and going on crazy adventures. Just as I fell in love with those characters, their story came to an end. This whole series really spoke to my heart about relationships between kids in high school. I’ve met kids like Spencer and Rufus in my time at school and Young really captures those personalities perfectly with a flair of hyper-realistic charm. 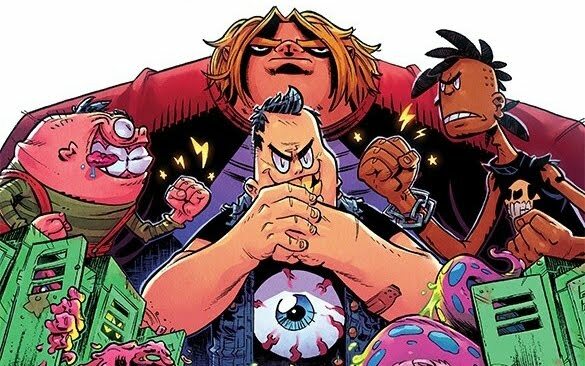 Against the backdrop of a hyper realistic battle royale where bullies battle bullies, Skottie Young told a real and honest story about what it means to be a geek or a bully. Click here to order the complete collection of this fun and zany story. This seems like a great read, but I'm not sure if its for me.